The second and third of the spin-off stories to feature at Some Other Scotland are both set in the past. The events in “Mist” take place in 1919 on a secluded beach in the North of Scotland. 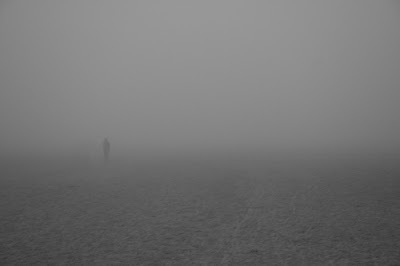 This story was originally posted for the 100 Word Stories prompt “Shrouded in mist”. It can be found along with others of the same theme at 100 Word Stories #168. The second short tale, “Shelter”, was also written for the 100 Word Stories podcast, but was not recorded in time to be included, so this is its first appearance. It is set in 1940 and has a close link to Episode 15 of ‘SOS’. Merkland Street Subway station, the scene of the attack.